Sadhguru is an Indian yogi and a mystic with an enormous passion for helping people to access their Divine wisdom. Inner Engineering is his method for helping people to reach their peak potential. He is visiting London for a two-day course in Inner Engineering Completion on April 20th and 21st, which is preceded by a prerequisite Inner Engineering online course. Read on to learn more! Sadhguru is an Indian yogi and a mystic whose passion spills into everything he encounters. 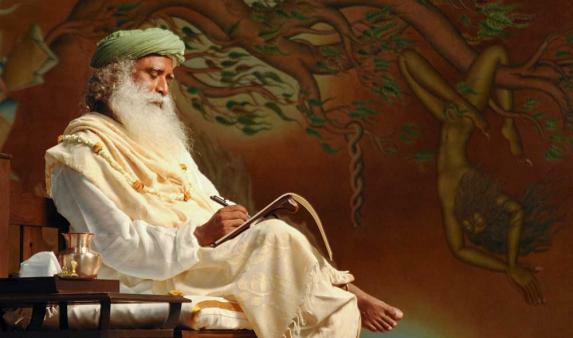 Named as one of India’s 50 most influential people, Sadhguru’s work and transformational programmes have touched the lives of millions worldwide. Sadhguru has a unique ability to make the ancient yogic sciences relevant to contemporary minds, acting as a bridge to the deeper dimensions of life. His approach is not linked to any particular belief system, but he offers methods for self-transformation that are both proven and powerful. As an internationally renowned speaker and bestselling author, Sadhguru has been an influential voice at a number of major global forums, including the United Nations World Headquarters and the World Economic Forum. He has spoken on issues as diverse as socioeconomic development, leadership and spirituality. He has also been invited to speak at leading educational institutions, including Oxford, London Business School, IMD, Stanford, Harvard, Yale, Wharton and MIT, to name a few. The Inner Engineering method has been designed and offered by Sadhguru as a technology for well-being rooted in the ancient science of yoga. It aims at establishing a deep and lasting personal transformation and empowers you to experience your peak potential. Anyone above 15 years of age can attend the programme, which takes place in two stages. 7 online classes with Sadhguru, imparting practical wisdom and guided meditations with Sadhguru at your own pace, in your own space. Inner Engineering online is a mandatory prerequisite to attend the 2-day Inner Engineering Completion programme with Sadhguru. During this two-day exclusive programme with Sadhguru, learn a simple and powerful 21-minute meditative practice, the Shambhavi Kriya: a purifying energy technique which balances, aligns and revitalises your entire system, establishing a chemistry of blissfulness within you. Shambhavi Kriya is done in a simple seated asana, or posture. It does not require any physical fitness or previous knowledge of yoga, and is easy to integrate into your lifestyle. This special weekend event offers a rare opportunity to be in the presence of Sadhguru for two days, for an experience that will touch the very core of your being. Please note that Inner Engineering Online is a mandatory prerequisite to attend the two-day Inner Engineering Completion programme. If you do not complete Inner Engineering Online, you will not be allowed to attend Inner Engineering Completion with Sadhguru on Saturday 20th and Sunday 21st April 2019. This will take place in London ExCeL, Royal Victoria Dock, 1 Western Gateway, London E16 1XL. To learn more and book your place, just click here.